My husband and I met the owner of JIFE luxury car service about four years ago & since then, we have hired Reginald Jyles for transportation to & from DFW AIRPORT & back for every trip & also a couple of special nights on the town! Reliable, Prompt, and always professional drivers whether it's Mr. Reginald Jyles or his trusted drivers, such as Gabbie! 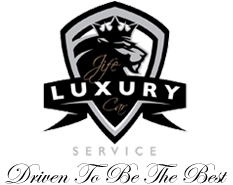 We live in Trophy Club, but use this Dallas-based service because of its' dependability & the friendly relationship we have built with JIFE Luxury Car Service! Just wanted to send a special thanks to Reginald Jyles (owner) and his team at JIFE Luxury Car services. My wife and I thoroughly enjoyed his outstanding customer care recently and his outgoing personality. He keeps the client at the forefront and not just another “drop and go.” He truly has the deep integrity to meet the needs of the customer. If you are searching for a client transportation service rather it is a night on the town with your loved one, an airport shuttle, oh and yes PROM season is approaching sooner than we think, I highly recommend JIFE Luxury Car Services. BE BLESSED EVERYONE! Huge shoutout to these guys and thank you for the amazing service so early this morning to the airport! Thanks, Mira Lagos neighbors for recommending them so many times! Would use them again. I recently needed a ride to and from DFW airport and decided to call Jife Luxury Car Service, based on all the great reviews I saw on Nextdoor. I am so glad I called- he was on time, had water and mints available and sent email confirmations of the times he would be picking me up. Reginald Jyles is fantastic, and I will be using this service again! Jife is simply the best- we had a nightmare travel least week, and Reginald was able to accommodate us nevertheless! He stayed in constant contact, kept monitoring delays and was encouraging like a family member!! Plus was super punctual, friendly and helpful! What else could I have asked for? I recommended these transportation services any day!! Last week we had the honor and privilege of meeting Mr. Jyles. We used the car service to go to the airport. He arrived early and dressed very professionally. Cold water and mints and gum. It was a wonderful experience, and we will use his company again. I can't thank them enough for the amazing service. We have used JIFE luxury car services on several occasions. I have always enjoyed the level of customer service, timeliness, and professionalism. I highly recommend their service, and we will continue to use their services now and in their future. I had the absolute best service with Jife Luxury Car Service! He was timely, very personable and dressed professionally for my 4:30 am drop off at the airport as well as my 10pm pickup upon my return. Reginald was waiting patiently by baggage claim with a cart when I got there. 5 star service by a 5 star company! Recently I used Jife Luxury Car Service for a trip back home from DFW. The process was very easy to book and pay online. When catching a redeye halfway across the county with young kids it was nice to have someone drive us home. Our plane was delayed and Mr. Jyles was standing there waiting for us. He texted us before to confirm and after our flight landed with baggage claim info. Top notch service and very professional to talk with. My wife was also extremely pleased. Thank you Jife Luxury Car Service. We used JIFE Luxury car service for our trip to the airport this past Friday morning and Monday evening for our trip back home. Their service was excellent and we didn't have one issue. We had an early morning flight Friday, so the driver was at our home at 5am sharp. Plus I received confirmation text messages letting me know everything was on schedule for our pick up time. We also received confirmation text messages the day of our arrival. When we arrived back Monday I wasn't feeling well, having a cold bottle of water in the car really helped. Also I flight arrived early yesterday and they were right there waiting when we came out with our luggage. Will use there service again soon. I recently needed a ride to and from DFW airport and decided to call Jife Luxury Car Service, based on all the great reviews I saw on Nextdoor. I am so glad I called­ he was on time, had water and mints available and sent email confirmations of the times he would be picking me up. Reginald Jyles is fantastic and I will definitely be using this service again! I highly recommend Jife car services, I am a fan too. Reginald drove me to the airport and picked me up at 4:00am as I had a very early flight, he was at my door at 3:50am. Upon my return he took me to pick up my car as it was in the shop. He is a true professional and you can count on him being on time. It was a pleasure riding with him and I would do it again in a heart beat. If you need transportation, please, please call Reginald Jyles from JIFE Luxury Car Service! Mr. Jyles responded to my request within 10 minutes of receiving my message. He is a family man who lives in our neighborhood. He is personable and caring about his customers. He is a pleasure to talk to and work with. He worked with me so that we could make an additional stop on the way to the airport to pick up my husband. I cannot say enough how much I enjoyed meeting and talking to Mr. Jyles! Thank you Mr. Jyles for taking special care of me and my family! I would like to express how happy I was with their service. Very professional and on time. You can't go wrong using their service!!! Had the opportunity to use JIFE recently. I had read positive reviews given to them on this site. I needed a pick up at three in the morning for my family and I. Given the early time I was skeptical of using Uber or Lyft. Nothing against those two but after using them it's hit or miss. JIFE was very prompt and professional. Reginald, my driver, stayed in contact with me by text and email. I never give 5 star reviews but JIFE exceeded all my expectations. They were warm and put us all at ease. Everything was first class. I will always use them. give them a try. I cannot say enough how wonderful our trip was to the airport. The car arrived early, waited a few extra minutes for us, provided water for the ride and made my entire morning trip stress free. I will definitely be using this LOCAL small business again. I encourage you all to reach out for your next trip. Just used Jife Luxury to get to DFW airport. I highly recommend this service if you're in need of sedan transport. The transaction was simple and Reginald was very nice and professional. They also have suv's if you need more room. I just wanted to recommend to anyone needing a ride to the airport to use JIFE Luxury Car Service! It was the best experience that I have had with a car service! Very relaxing, accommodating, good pricing and friendly! I didn't feel rushed at all and it made getting to the airport at 3:30 am incredibly easy! I will definitely be using them again :) Plus it's always good to support local businesses!! We just made a round trip to and from Love Field with Reginald Jyles' car service. Not only is he polite and a gentleman, but he is reliable. He was on time picking us up to take us to Love Field and met us at the baggage claim at Love Field when we flew back to Dallas. His prices are reasonable, and he lives in our neighborhood. He also checked in with us before picking us up both directions. You can make reservations with him personally in advance­­no middle man­­at 888.744.8461 or online at www.jifeluxurycarservice.com. We recommend him unequivocally, and you can tell him that we recommended him. We were gone a week, and it was less hassle and cost to use JIFE Luxury than it would have been to park our car at Love Field for a week. And lots of luck trying to find a parking place there! I used Jife Luxury car service for a round trip to Dallas love field. It was the best airport transportation I have used to date. They arrived early to take us and monitored our return flight that arrived 30 minutes early. When I landed I had a text waiting that they were waiting for us at the baggage claim. Awesome service. I have now found a new car service for all of my transportation needs. Reginald at Jife luxury car service is AMAZING! He is the utmost in professionalism and kindness. I arrived home from vacation WHILE the tornadoes were touching down. He was waiting at the airport for MUCH longer than expected due to weather delays. He was kind and generous with his time, patient and understanding and very helpful. THEN, he was safe and diligent while driving me home through horrific weather. He went well above and beyond the call of duty. I can't say enough about his services. Thank you, Reginald. I'm so grateful!